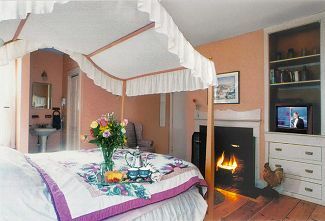 A country Inn usually provides peace and quiet, friendly hosts, comfort and simplicity with beautiful furnishings. The State House Inn has all of these qualifications but just happens to be located in the city of Providence. Our ten guest rooms have king or queen size beds, private bathrooms Cable TV and telephone and are decorated with Colonial and Shaker furnishings. Business and vacation travellers, alike find us to be the perfect alternative to downtown chain hotels. Rates range from $99 - $149 per night and include a full breakfast. Rates: $99 - $149 - Visa/MC/Amex/Discover Accepted. This and other Providence Bed and Breakfast Inns can be found here in The Register.